Descripción: Complying with its Global approach to sustainable development and the sustainable environmental performance and abiding by its Quarry Rehabilitation Directive (QRD) issued under its Environmental Policy in 2011, Holcim Group is committed to rehabilitating any of its closed or inactive quarries in a safe, environmentally and socially responsible manner, in order to: - Reintegrate exhausted parts of a quarry into the natural landscape - Make the site safe and stable for future land use - Return land to a beneficial post-quarrying use, balancing environmental, social and economic factors; and Minimize adverse long-term environmental, social and economic impacts after quarry closure. In this context, concluding excavation activities in one of its quarry sites in Chekka extending over an area of approximately 5 ha, Holcim mandated a team of experts gathered from different institutions to design an ecological restoration scheme for the latter, in the frame of a mutual collaboration between Holcim and IUCN’s regional office of west Asia (ROWA). 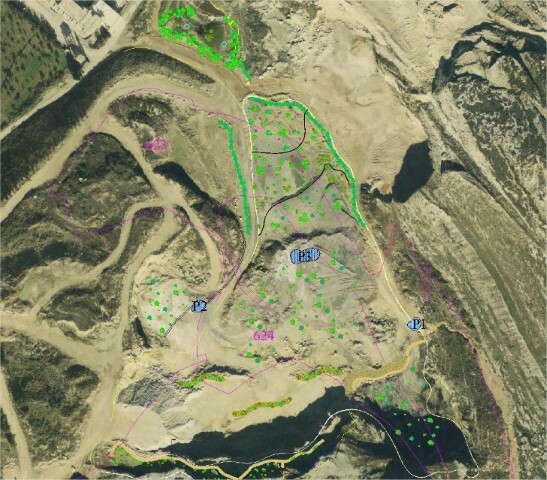 This pioneer initiative prioritizes ecological concerns and aims at reinstating to the possible extent the original ecological specificities of the site well before quarrying activities settlement, with the least possible recurring interventions. The project extended over two phases: a first phase (January 2012 - August 2012) focused on biodiversity assessments, and a second phase (September 2012 - November 2012) concerned by the design of the rehabilitation scheme.